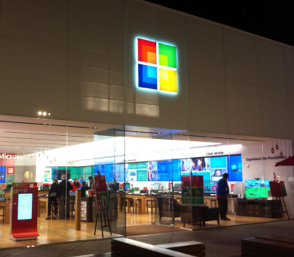 MSFT Rips off Apple Store- When Comes The Apple V Microsoft Patent Wars? Apple’s patent war with Samsung in the US has come to a close with gains of $1 billion. So now Apple’s lawyer’s are wondering, “Who should we sue next?” And the not-so-obvious possibility I’ve been entertaining after taking my first real look at the Microsoft Store is Microsoft. 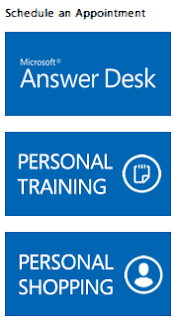 Have you seen the Microsoft Store? 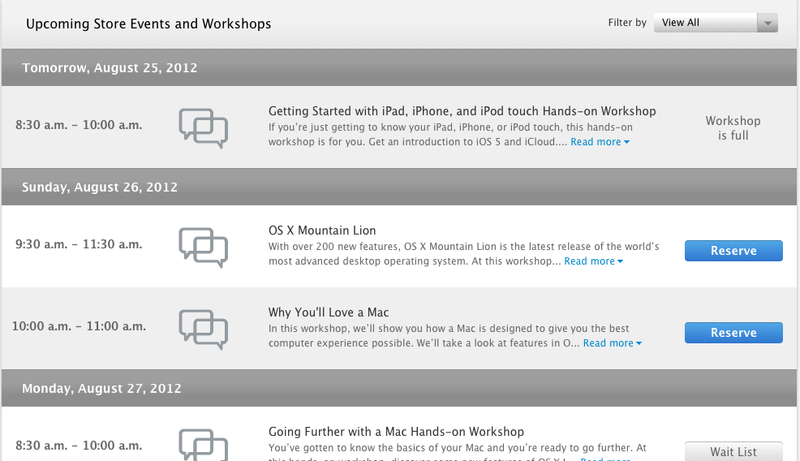 It’s the closest thing you can get to copying Apple without violating their intellectual property. Allow me to demonstrate. The design influence is undeniable. The One Piece glass facade with blank edges and sign except for the logo. The modern tables with devices for testing, and stools accompanying them. The hardwood floors. 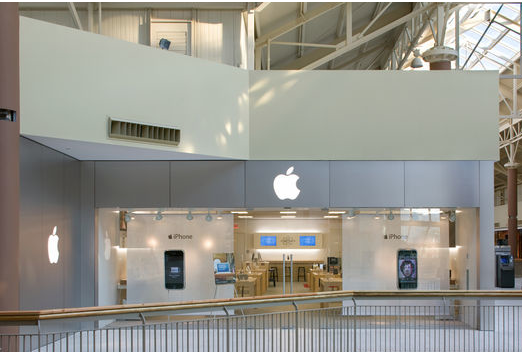 Apple Borrowed these techniques from several different retailers when designing their stores, but Microsoft seems to have just taken everything from Apple. Look For yourself at the two images below before I continue. Once Again Microsoft took a trademark Apple look with the solid bright t-shirt and square name tag. 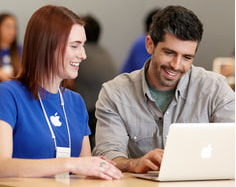 Apple created the Genius Bar as a new, modern and fun take on the help desk. Microsoft now offers “the answer desk” in store on the same principles. 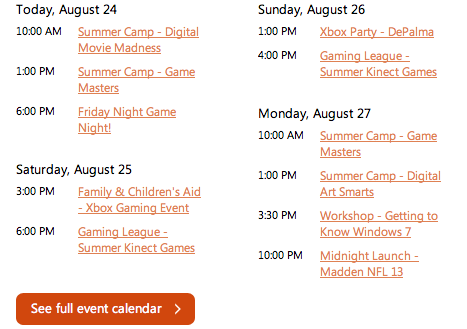 In order to create a more communal feel to the store, Apple has long offered clinics, camps, special events, and more at the store and has had a wide calendar for each store. Microsoft has picked up on this habit too. Just saying. What do you think of this ripoff?